The United Nation's (UN) high-level meeting on noncommunicable diseases (NCDs) in September 2011 created much-needed thrust for a global movement against preventable mortality, morbidity, and disability from NCDs. For the success of NCD prevention and control strategies, health system strengthening is crucial. 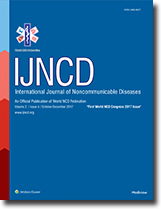 Through this review, the health system was examined thoroughly to summarize the existing work done, identify shortcomings, and underpin way forward for NCD prevention and control. An in-depth review of literature was done using major search engines and various related journals. A search strategy was developed and employed to review published literature available through different search engines. Success stories from different domains of health system research were presented as case studies. The concept of universal health coverage was also discussed along with the strategies for its measurement. It was concluded that NCDs pose a major challenge and health system strengthening is critical to ensure the vision of UN sustainable development goals 2030. The World Health Organization (WHO) Noncommunicable Disease (NCD) Global Action Plan 2013–2020 and the WHO Action Plan for NCD in South-East Asia, 2013–2020, have identified advocacy, partnerships, and leaderships as a key strategic action area. 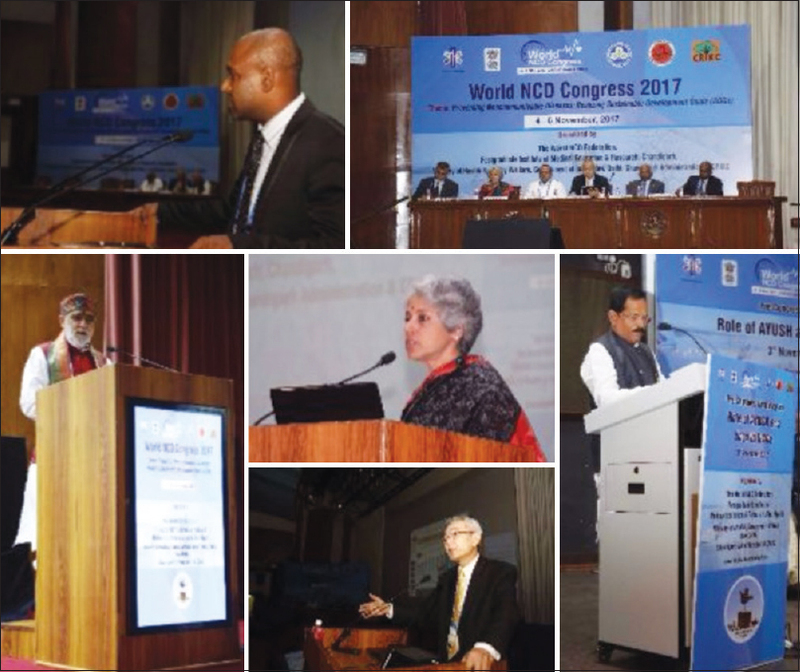 The paper describes the proceedings of the plenary session titled “Partnerships in NCD Prevention and Control” which was held at the World NCD Congress at Chandigarh, India, in November 2017. Besides, a review of various data sources and literature was also carried to search for case studies related to successful partnership models in NCD prevention and control. 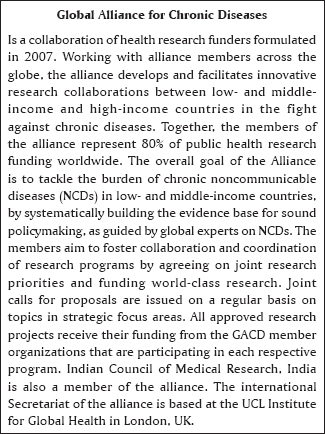 This review describes the role of multiple partners such as the civil society, research organizations, private sector which includes the private health-care sector, pharmaceutical and the food industry, and other national and international experiences in multistakeholder partnerships to combat NCDs. Civil societies play a range of roles from generating evidence to advocating policies, providing technical support, partnering in implementation to monitoring commitments' direct provision of services, and ensuring accountability. Research organizations provide the much-needed evidence for informed policy-making. The key challenges in building a partnership are lack of clarity in roles and responsibilities of each partner in the alliance, resource constraints, imbalance of benefits and power between the partners, organizational difficulties, and differences in philosophies. A clear understanding of roles, responsibilities, interests and incentives of each of the partners, regular communication, and give-and-take philosophy are required to create effective partnerships. A mechanism of feedback channel is essential to monitor the progress and relevance. Communities should remain the central stakeholder in any partnership. Noncommunicable diseases (NCDs) are a major cause of death and disability worldwide. Many of the determinants of NCDs go beyond the purview of the health sector. Hence, the involvement of nonhealth stakeholders along with the health sectors is important in the planning and implementation of programs for the prevention and control of NCDs. The current review aims to study the existing literature, thereby provide a background for further action in prevention and control of NCDs at a policy level. It was seen that the World Health Organization (WHO) Global Action Plan in 2013 led to the development of multisectoral action plans (MSAPs) in many of the member states of the WHO. However, for effective implementation of MSAPs, a strong leadership role and mechanism for partnership must be provided by the government. Furthermore, they can be strengthened by monitoring which ensures the accountability of each sector. During World NCD Congress 2017 the special sessions on Policy forum, Parliamentarian Forum, Youth Parliament and Ministerial Forum, the inputs from Policy makers, parliamentarians, youth and health ministers of different countries and regions across the globe were incorporated on the prevention, control and management of Noncommunicable diseases. 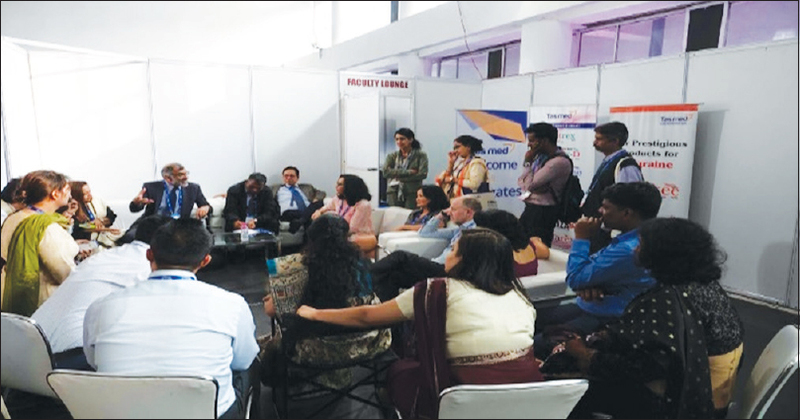 The Consensus statement was developed with the areas focusing on Health Promotion, Disease prevention, Global, National and Subnational Initiatives for health, social and economic burden of NCDs for Chandigarh, India. With speedy urbanization and globalization, there is looming threat of noncommunicable diseases (NCDs), such as heart disease, diabetes, cancer, stroke, mental health disorders, and chronic respiratory illnesses, which are majorly preventable. Even though youngsters are affected more through NCDs and bear the emotional, financial, and social brunt of NCDs all through their lives, most preventive actions are not youth oriented. Therefore, active involvement of youngsters is desirable within all global development policy discussions and should be motivated. Youth Parliament can provide a forum to formulate pro-youth policies by engaging youngsters in critical thinking and discussions. Such forum can identify and discuss the key issues of NCDs and raise a collective voice to influence the policymakers of the government, nongovernmental organizations, donors, and civil society members. Healthy Public Policy is vital to the control of noncommunicable diseases (NCDs), and law and regulation is an important tool for achieving this goal. Sensing the urgency of raising voice in the parliaments and different ministries and constitutions, a forum is needed to build consisting parliamentary members which represents different standing committees and ministries. The Parliament Forum has great potential to affect and bring innovative changes in addressing the common concerns regarding NCDs, building stronger democratic institutions, advocating for good governance for implementation of NCD policies and accountability and sharing good practices population-wide. In view of achieving the Sustainable developmental goals by 2030 and preparation for UN high-level meeting 2018, the Ministerial forum was the key session of the World noncommunicable disease (NCD) Congress 2017 with the participation of Ministers, Parliamentarians, and Policymakers from different parts of the World. The purpose of forum was to set a platform for a wide range of high-level policy issues for the prevention and control of NCDs, discussion on implementation challenges and global action plan. Forum discussed and finalized the consensus statement “Chandigarh Declaration on NCDs” at the conclusion of the Congress. 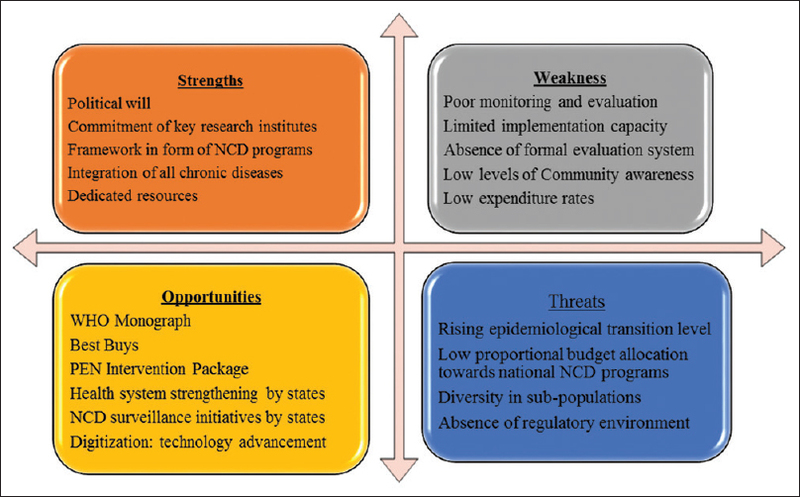 India was first in delineating Global Action Plan in 2013 with the monitoring framework having specific targets and indicators to overcome noncommunicable diseases (NCDs) burden, which entails the requirement of vital phase that is multisectoral participation of different sectors for its implementation. 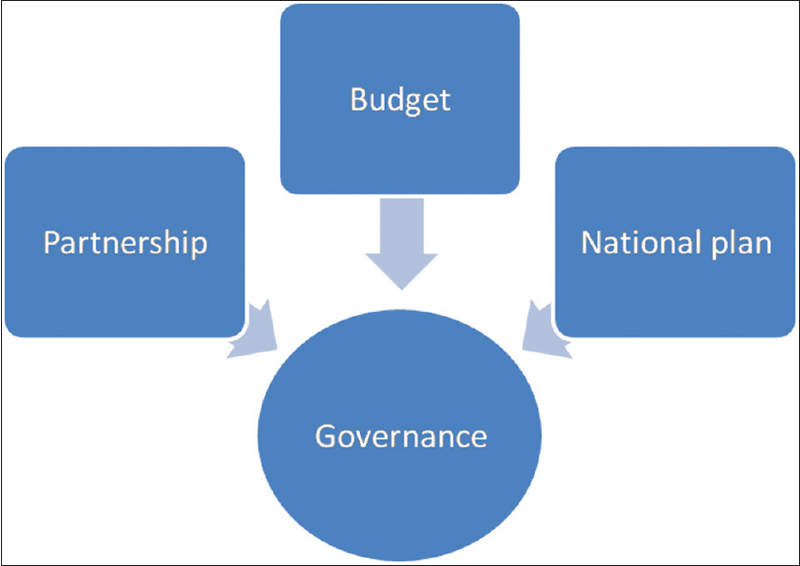 Therefore, for involving different sectors, there is a requirement of the multisectoral action plan which can be helpful in providing the environment of buttress footprint, i.e., all stakeholders can draw on their collective core accomplishment to create a more comprehensive deck of potential in achieving a common goal. Initial case study was done through interviewing total 28 stakeholders to analyze the situation, perspective, and the extent of the participation of the different stakeholders from various sectors, toward the multisectoral participation in Chandigarh using World Health Organization (WHO) NCD map tool. Following the case study analysis, roundtable meeting was done; total 21 stakeholders participated in meeting, which was moderated by the WHO Coordinator NCD, SEARO region. Results of the case study assessing the multisectoral participation in Chandigarh and outcomes of the roundtable are presented in this manuscript. Case study emanates that majority of the stakeholders answering lack of coordination mainly affecting the success of any program and outcomes of the roundtable meeting underlined the requirement of proper coordination mechanism, strengthening of surveillance, implementation, monitoring and evaluation of NCD programs, political will by advocacy, and its prioritization. To tap the growing burden of these groups of chronic diseases, numerous interventions are being implemented in different settings. Evidence from developed settings is promising yet warrants careful planning and evaluation before implementation and expansion. There is a need for strengthening the evidence for sustainable scale-up of noncommunicable diseases (NCDs) program. A total of 16 nodal persons (national and international program managers, academicians) from different regions participated in the roundtable discussion, proceedings of which were recorded simultaneously and summarized as SWOT analysis. NCD surveillance and information systems need to be strengthened to capture plan scale-up and capture program effects. Presented here are proceedings, recommendations, and key themes emerging out of discussions. With the view of rising burden of Noncommunicable diseases and the agenda to achieve Sustainable developmental goals, a professional organization working for NCDs globally World NCD Federation(WNF) and Post-Graduate Institute of Medical Education and Research(PGIMER), Chandigarh had jointly organized “The First World NCD Congress” at PGIMER, Chandigarh with the theme “Preventing Noncommunicable Diseases: Realizing Sustainable Development Goals”. The Congress included the diverse Plenary and Parallel sessions in the area of Noncommunicable diseases along with the physical activity sessions and special sessions on Policy Forum, Parliamentarian forum, Ministerial forum and Youth Parliament. 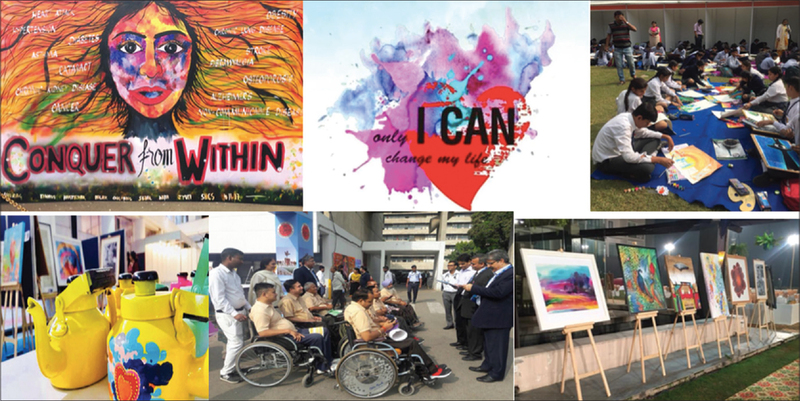 The congress concluded with a Chandigarh Call for action on NCDs.